Another delayed post! heheha! Anawangin was one of the must-go places on my list last 2010—just wanted to see the place where Bea’s Movie (And I Love You So ba yun? ehehe) with Sam Milby was shot. :D Aside from that, I’ve seen a lot of nice shots from other travelers slash shutterbugs that I wanted to see the place for myself and take some nice shots, too! [inggit-mode on! Hehe]. And so this trip happened!—in 2011 nga lang hehehe! Since I was the one who initiated this trip, I took the responsibility to make all the necessary prep—from searching in the internet for tour packages, into finding a person who could help us in our do-it-yourself (DIY) trip. And so we came up with our schedule, itinerary, contact persons, and budget. Medyo madalian ang pagpaplanong ‘to, pero super thanks to the organizer, kahit medyo may konting aberya lang…mamaya ang kwento! ehehe! PART 1 OF 3: MT. PUNDAQUIT’S SUMMIT! Thizzzizzzit! We purposely scheduled the trip on a Sunday ‘cause both of my companions had to work and had to take an exam that Saturday. Oks lang naman, kase long weekend, so kahit na-move ng Sunday, tuloy na tuloy ang gala! :D We met at about 10.30pm (Saturday) in Makati Ave and off we went to Buendia Victory Liner station to take the midnight trip to Zambales. Thanks to the organizer for informing us of the time of the trip, which was just perfect for the early morning trek in Mt. Pundaquit :). When Manong Rudy arrived, he brought us to Arman’s (a friend of Jherwyn I think) house. 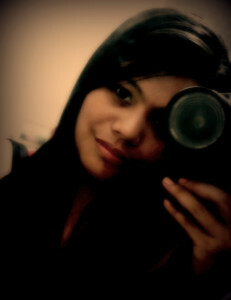 Actually, we haven’t met with both Jherwyn (the main contact) and Arman, text text lang, ganun haha! haist! ; we were “welcomed” by Arman’s parents instead, who were kind enough to entertain us in their house. So boat pala nila ang ginamit for the trip, and sa kanila rin kame nang-rent ng tent! Hahaha! Unang aberya: medyo hindi well-informed ang parents ni Arman ’bout our arrangement with them (i.e., boat rent, tent, tour guide ang kasama sa pinag-usapan with Jherwyn); pero cge carry lang, nadadaan naman sa usapan :). And in fairness, responsive naman sa call and text sina Jherwyn and Arman, kaya game on! :D And so the arrangement was: We will have our things transferred from the tour guide’s headquarters to Anawangin Cove (via boat), while we take the Mt. 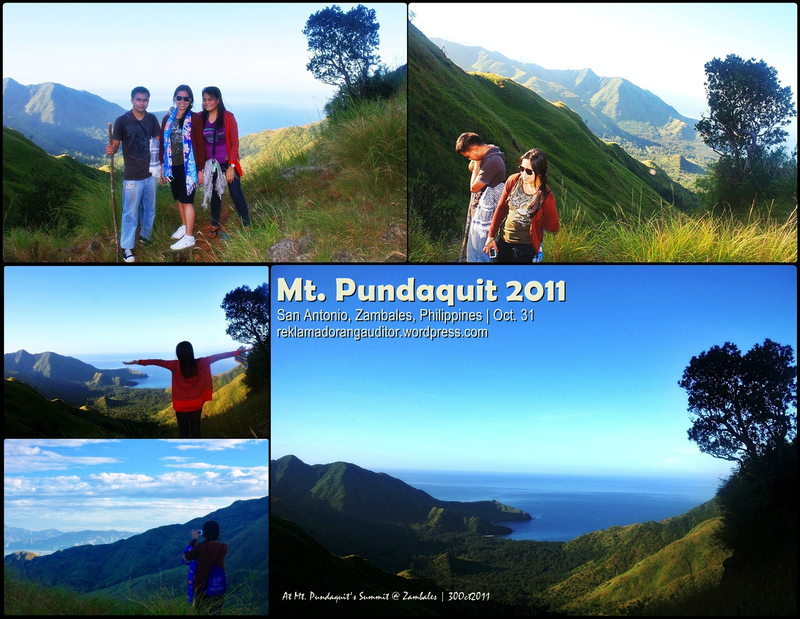 Pundaquit trail (trekking) down to the cove, and meet with our things there hehe! When we neared the summit, we were able to outpace some trekkers who went ahead of us. hehe yabang lang! :) –two guy trekkers with their guide (a friend of Mang Rudy). Feeling ko photography enthusiast din yung isa (ganda ng SLR nya eh! hehe), tapos yung isa naman, model-modelan, porma kung porma sa trekking eh! hehehe peace! One of the many rest moments that we had haha! We needed to take rests in between, nakakahapo. Water and shade please!!! 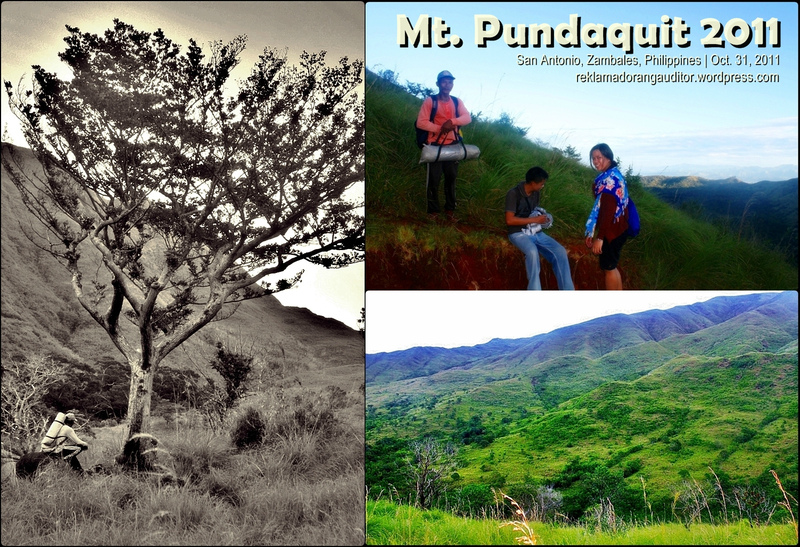 :D Humugot muna ng konting energy to trek the remaining 15 minutes or so…until we reach the summit of Mt. Pundaquit! After the short rest, nauna na lang kame sa kanila, eksayted na makarating sa tuktok eh! Kaya heto na, lakad ulet… and then TADAHHHHHH!!!! – Mt. 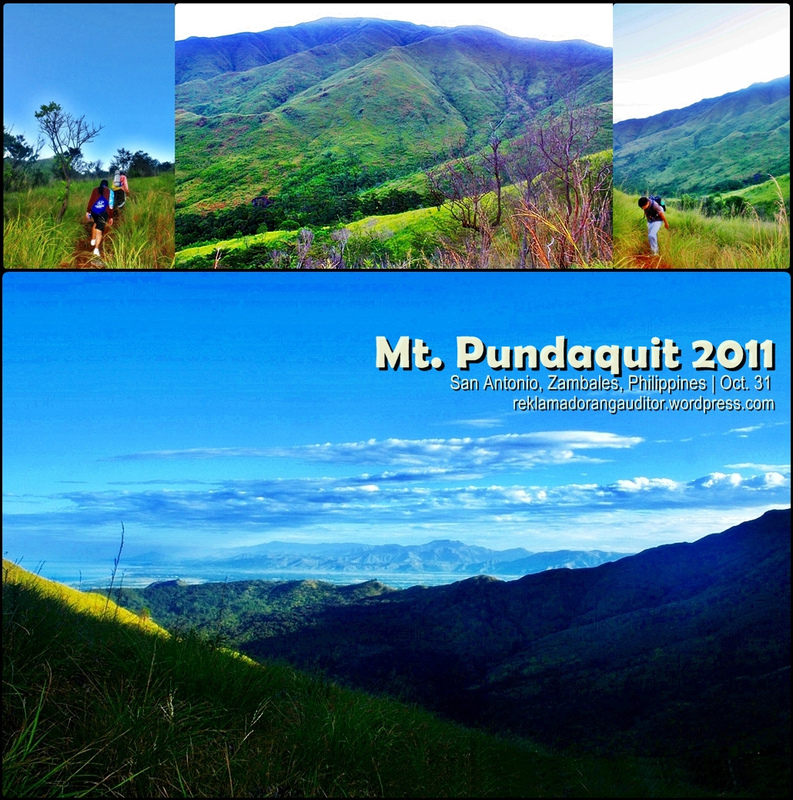 Pundaquit is relatively easy to trek. – Be sure to get a guide; you might get lost as the trail is inhabited, so there’s no one to give you directions along the way. – No need to bring much food, just enough trail food perhaps.. but it’s just a short hike so kaya lang! 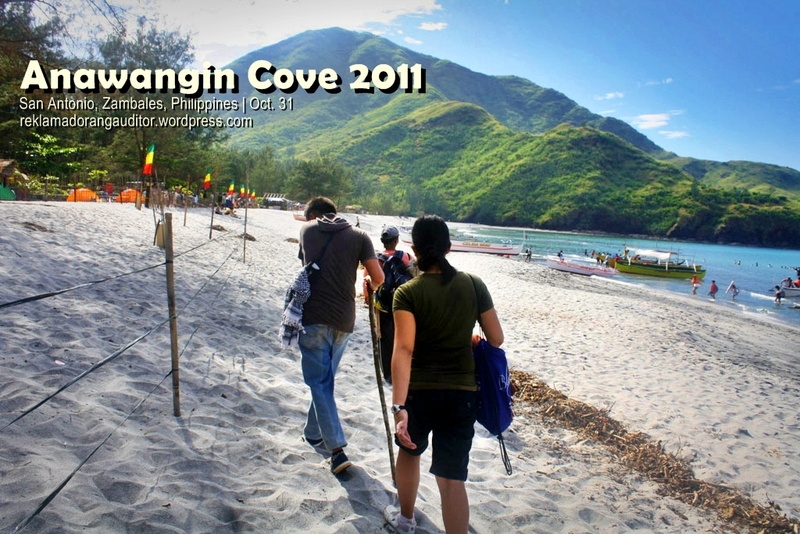 Zambales 2 of 3: Pre-Halloween in Anawangin! North-Bound 1: BANAUE – Batad, Wala Kang Katulad! Trek to Mt. Pinatubo Crater, Winner! wish I could also have that courage to travel unplanned! haha!